Still has the powder and puff within the box. 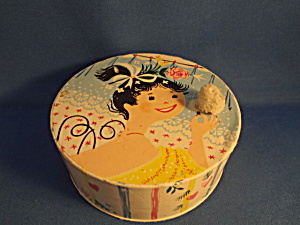 Powder box is from Avon. The little puff on the front of the box is a little dirty, but otherwise the box is in excellent condition.